A new business development chef has joined family-owned wholesaler, Creed Foodservice. 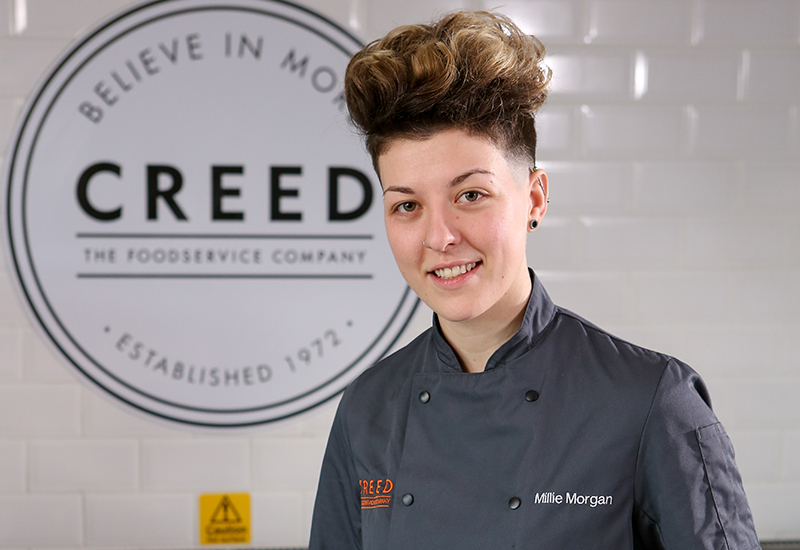 Working alongside the company’s current Executive Development Chef, Rob Owen, twenty-three-year-old Millie Morgan has previously worked in a number of chef roles in Alicante, Spain and at the two rosette L’amuse Bouche restaurant at the Cotford Hotel, Malvern. Morgan and Owen will work side by side to develop Morgan’s experience both in fine dining, and in Spain, working with fresh produce, gluten-free, vegan and café style food. Originally published 12:27pm April 3, 2019 , updated 12:29pm April 3, 2019 .